iv, 20 p. : ill., ports. ; 28 cm. Includes ten lesson plans, each with focus topic, discussion activities, writing exercises, and homework assignments Also includes capstone projects, suggested essay topics, handouts with more background information about the novel, and bibliographical references. Lessons dovetail with state language arts standards required for fiction. “The Big Read is an initiative of the National Endowment for the Arts designed to restore reading to the center of American culture. 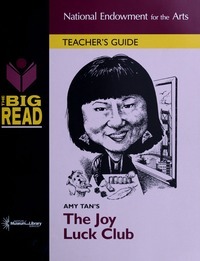 The NEA presents The Big Read in partnership with the Institute of Museum and Library Services and in cooperation with Arts Midwest”–P. 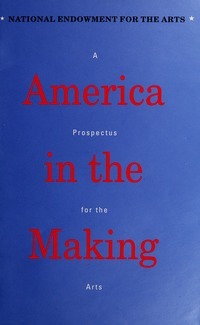 4 of cover. 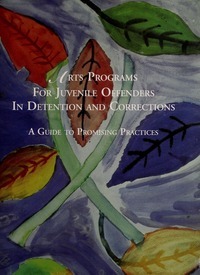 This 2002 publication is the result of a four-year collaboration between the Arts Endowment and The Office of Juvenile Justice and Delinquency Prevention. 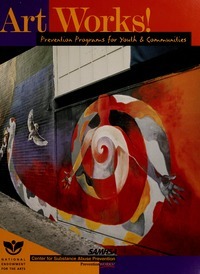 Designed to strengthen arts programs directed to underserved youth, the initiative provided training in conflict resolution skills to the artists, staff, administrators, and young people participating in these programs. The National Center for Conflict Resolution Education developed and provided the training. 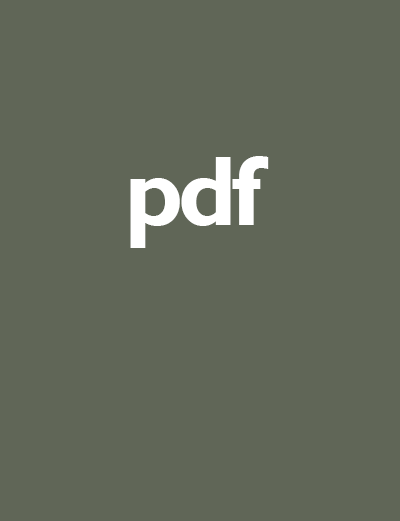 This publication provides background on the partnership and the rationale behind blending the arts with conflict resolution. It details the nature of conflict and provides arts based activities and ideas for integrating the conflict resolution principles into all types of arts programs. The resources section includes a bibliography and descriptions of how participating programs incorporated conflict resolution principles into their daily activities. 78 pp. 96 p. : ill., ports. ; 28 cm. 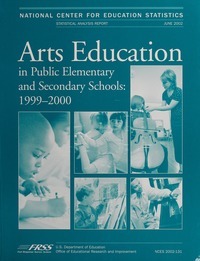 This report examines arts-related variables from four large datasets — three maintained by the U.S. Department of Education and one by the Department of Labor — to understand the relationship between arts engagement and positive academic and social outcomes in children and young adults of low socioeconomic status (SES). Conducted by James Catterall, University of California Los Angeles, et al., the analyses show that achievement gaps between high- and low-SES groups appear to be mitigated for children and young adults who have arts-rich backgrounds. 28 pp. xvi, 94,  p. : ill. ; 28 cm.